Finding Our Center - Reaching Out: Think Different. 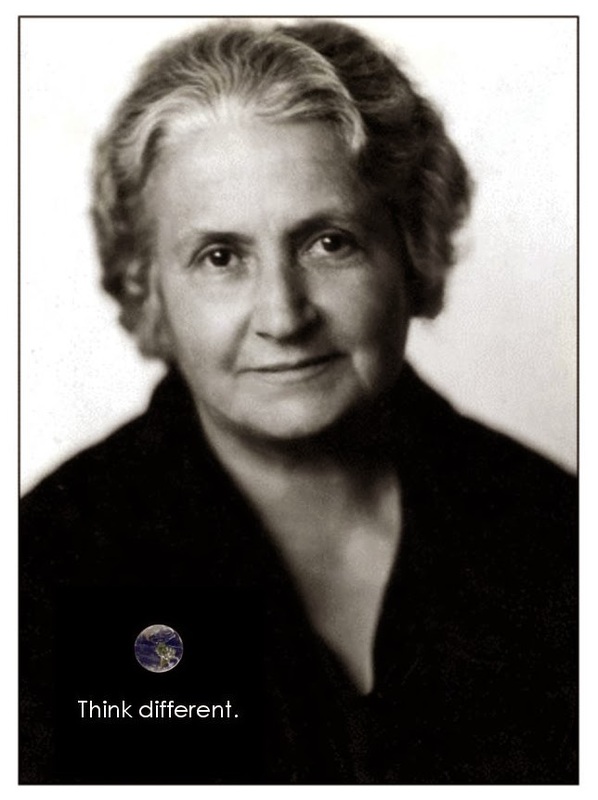 Having studied as a Montessori Teacher and Supervisor from 2007, now, in all aspects of my life, if I'm confused or in two minds, I look to Dr Montessori. I found her understanding of children chimed with my experience. Her ethos, her clear scientific mind, help me make my decisions, and inform my treatment of everyone I meet. Grace and Courtesy are always appropriate. Regards, I C O'Brien.